Watch this multiple-award winning documentary now at Vimeo On Demand. Once My Mother is a multi award winning feature documentary and Study Guide for educators. A troubled mother and daughter relationship played out over a lifetime reveals an epic journey from a Siberian gulag to safety in Australia and a story of survival, conflict and forgiveness. Director Sophia Turkiewicz. Producer Rod Freedman. Associate Producer Australia – Bob Connolly. Associate Producers Poland – Janusz &Kamil Skalkowski. Editor Denise Haslem. Composer Cezary Skubiszewski. Change Focus Media was established in Balmain, Sydney in 1997 by partners Lesley Seebold and Rod Freedman. We produce documentaries, corporate, educational and promotional videos. Our clients come from the spectrum of government, corporate, community and private sectors. Our corporate productions are designed to engage their audiences and satisfy our clients. 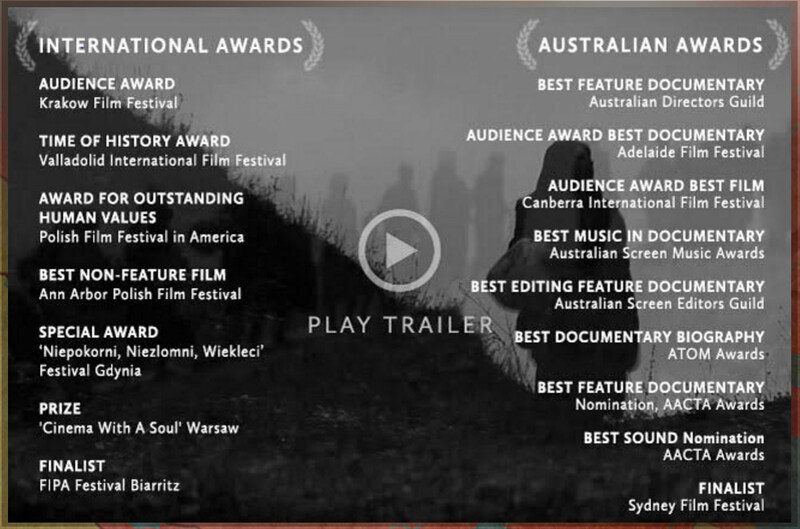 Our documentaries have won international awards and screened in film festivals all over the world. strong and engaging video communication. Contact us to discuss your next project. Change Focus Media produces documentaries, corporate, educational and promotional videos. Whether for distribution on DVD, television, website or streaming, Change Focus Media will help you create a strong and engaging video communication.